Product information "4x multi-band tuner TV Card - DD Max M4"
The Digital Devices Max M4 is a multi-tuner TV card. It has the capabilities of digital reception for satellite (DVB-S / S2 / ISDB-S), cable (DVB-C / C2 / ISDB-C / J.83) or terrestrial (DVB-T / T2 / ISDB-T). The reception of SD to Ultra HD modulated channels on the transponders of the provider is no problem for the M4. Due to the low power consumption of ~ 7 watts, the card works very economically. The Max M4 Multituner card comes in Full Profile Format (full height) with corresponding bracket. The choice of reception is done dynamically. The Max M4 has four individual front ends, depending on the tune request, the card switch automatically to a free cable, satellite or terrestrial tuner. Through the dynamically switching, a reprograming of the receiving mode during operation is not needed. Thus a DVB-C or DVB-T2 connection can be used for bad weather alternative with disturbed SAT reception, in order to keep a running operation. Receive stations from different sources, such as SAT and terrestrial, without investing in different receiving systems. If not only satellite, but also cable TV should to be received at a location(for example for local channels), this is now possible without any problems with the Max M4. For operation with a standard satellite receiving system (star cabling), you need a cable for each DVB-S tuner to the Max M4, thus also the card can be used with full DiSEqC support. Likewise, the use of Unicable I (EN50494) and Unicable II / JESS (EN50607) systems is easily possible. 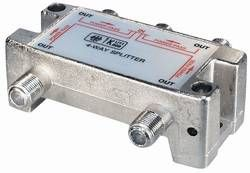 To supply the individual SAT tuners with a Unicable signal, the SAT inputs of the card are connected to the Unicable system by a Unicable splitter. For operation on a cable provider or terrestrial antenna, only one cable from the DVB-C wall socket or antenna is needed. 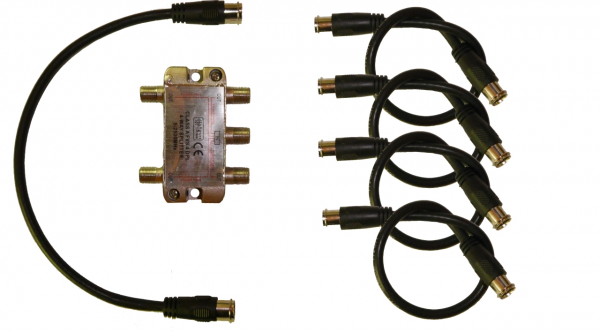 The signal is internally distributed to the tuner, thus no splitter parts are needed. In the field of data analysis, you now receive the data from one source from different reception types, e.g. Advertising analysis, time offset, data rate of individual transmissions. Also the dynamic switching of the required reception type offers advantages, becuase a changing is immediately possible. The hardware design of the card allows an operation in the 24/7 envoirement for professional and home use. Thanks to the use of high-quality components, such as ceramic capacitors and the absence of environmentally hazardous substances, the Max M4 ensures a long lifetime even with permanent use of the hardware. 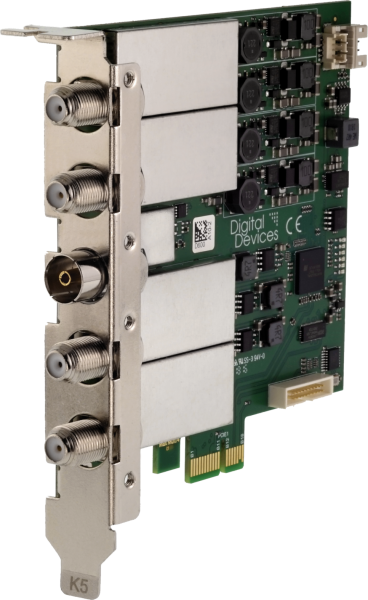 The Digital Devices Max M4 can be extended with an Octopus Single-CI or Octopus Twin-CI card via an additional PCIe slot and of course also other connected Flex-CI modules from Digital Devices can be used. Drivers for Windows XP, Windows 7, Windows 8 (.1) as well as Windows 10 and Linux. Related links to "4x multi-band tuner TV Card - DD Max M4"